OfferUp teams with AIM Group to bring SafeTradeSpots to users. Welcome to the club. Yesterday, it was announced that marketplace app OfferUp is partnering with industry watchdog AIM Group to launch a new website. SafeTradeSpots.com shows a national database of police and sheriff’s departments that have authorized their locations as safe meeting places for online transactions. It’s good to see OfferUp taking this step into user safety considering when you look up OfferUp on YouTube, this is the first video that comes up in the search. While we’re glad to see OfferUp start to take its users’ safety more seriously, we here at Geebo can’t help but pat ourselves on the back a little. Back in 2015, Geebo CEO Greg Collier recognized the need for locations where classifieds transactions that require a face to face meeting can be conducted safely. That’s why every Geebo ad contains a link to AIM Group’s SafeTrade Stations that lists a multitude of safe transaction zones all across the country. While we’re not in any way trying to take credit for OfferUp’s new safety initiative, we do like to think that Geebo is an industry leader when it comes to user safety. Not only does Gebbo review every ad for potential safety hazards but we constantly strive to educate our users on new and developing risks that are constantly evolving on less concerned sites like craigslist. We take our motto of being the safe community classifieds very seriously and continue to set the bar for safer online classifieds. Are safe exchange zones effective? 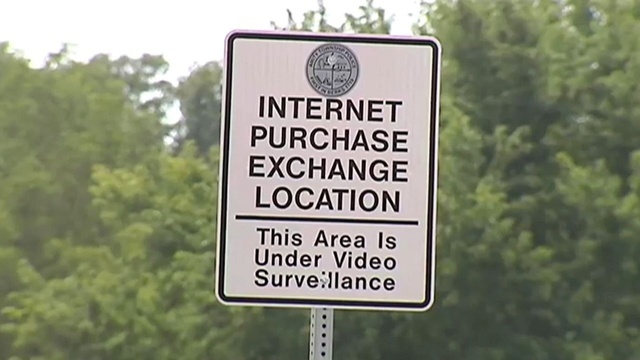 In the wake of the multitude of violent crimes that have been committed through sites like craigslist and apps like OfferUp, a number of police departments across the country have set up safe exchange zones for people to have a safer environment to make transactions. For example, each ad on Geebo contains a link to the SafeTrade Stations initiative which contains a list of all participating police departments across the country. In the Dallas, Texas area, a number of police departments created safe exchange areas after too many high-profile crimes took place where the criminals used classifieds sites or apps to find their victims. More recently, another murder has sadly taken place in the Dallas area where the victim was using a classifieds app to try to purchase a cell phone. This has caused Dallas news station WFAA to ask if the safe exchange zones are having any effect to which police departments in North Texas say that the effect has been mixed. A representative of the Arlington Police Department had the following to say on the matter. A tool is only as good as the person who is using it. If people aren’t using the exchange zones it’s difficult to ascertain their true effectiveness. It seems more like the problem isn’t the zones themselves but the education and publicizing of these zones. News station WKMG in Orlando, Florida, recently ran a report about crimes committed through online classifieds like craigslist and apps like OfferUp and LetGo have been overwhelming the detectives of the Orlando Police Department. One of their lead detectives says that robbery is the most common of the crimes committed, usually involving high-end smart phones since they involve a lot of money but are easy to grab. The detective goes on to name the usual suspects of which sites and apps these robberies are largely facilitated through and they are craigslist, OfferUp, LetGo and Facebook Marketplace. It used to be that meeting someone in a public place was enough to discourage any criminal activity from happening, but as time has progressed since the advent of online classifieds these rules have since changed since criminals have changed their tactics and have become more brazen. Now it is highly recommended to complete these transactions at your local police station as many of them have set up safe trading zones. Many of these classifieds sites and apps don’t offer this kind of advice or make it difficult to find. However, Geebo has a highly visible link in each of its ads to the SafeTrade initiative, where you can find a list of participating police stations across the country. Recently craigslist announced that they have sanctioned a smartphone app that shows users where they can supposedly make transactions safely. The app is said to show the locations of coffee shops and police stations. While we commend craigslist for finally starting to think about the safety of their users we here at Geebo have to ask, what took them so long? We’re not even talking about the fact that Geebo is an industry leader when it comes to assisting in our customers’ safety. For example back in March of last year Geebo CEO Greg Collier partnered with the SafeTrade Stations initiative that was started by industry watchdog, The AIM Group. The SafeTrade Stations program was started in response to the fact that at the time 84 people had been violently murdered after using craigslist. That number has since risen to 103. While these deaths may only be a minute fraction of the number of transactions that take place on craigslist it should be a large enough number to cause craigslist concern. However this is the first step, as far as we can recall, that craigslist has taken in years to aid in the safety of their users, except they didn’t even take this step. Another company developed the app and craigslist just gave it their seal of approval. So in reality craigslist barely lifted a finger. This is not surprising considering craigslist’s lax history when it comes to safety. They say that their site is too large to moderate their ads yet they have no problem in pulling all sorts of ads that aren’t even flagged by their so-called ‘community police’. In the past they’ve pulled ads for such things as unlocked iPhones to recalled baby strollers yet they don’t pull ads for such things as illegal drugs, firearms, human trafficking and the multitude of scams that craigslist is awash with. Speaking of their community police, it seems the term police is used rather loosely. For lack of a better term it seems that the craigslist community police are a case of the inmates running the asylum. Too often craigslist ads are flagged for personal reasons like the ad is flagged by a competitor of the ad’s poster. While on the other hand they tend not to flag any ads for obvious illegal activity. In contrast Geebo has its ads moderated by staff members who have a keen eye when it comes to scams and illegal content. In the past craigslist was infamous for its adult ads where human trafficking thrived. Although it did remove those ads after consumer and media pressure, craigslist still has sections that could be considered dark alleys of the internet. An inordinate amount of arrests have been generated from their personals and the ‘casual encounter’ section of craigslist along with an inordinate number of victims of online predators. Years ago Greg Collier, against common practice, removed personal ads from Geebo in order to better provide a safer experience to Geebo’s users. At no point did Geebo ever accept ads that had their roots in human trafficking. Geebo even takes the safety and welfare of those unable to defend themselves seriously. Another Geebo policy is that we do not accept ads that deal in animals. This is because of the number of puppy mills that deal in unhealthy animals but also because of the number of scams that involve animals. However on craigslist you can find a number of either wild, dangerous, illegal or unhealthy animals. For a company that professes to be such a pillar of not only the online community but the real world community as well craigslist doesn’t appear to be acting in any community’s self-interest except its own. Conducting business with a stranger always brings a certain amount of risk – both for buyer and seller. But, in this digital age of classified advertising, where individuals are conducting one-on-one transactions for used cars, sports tickets, furniture or even intimate relationships, the risk of harm grows exponentially. 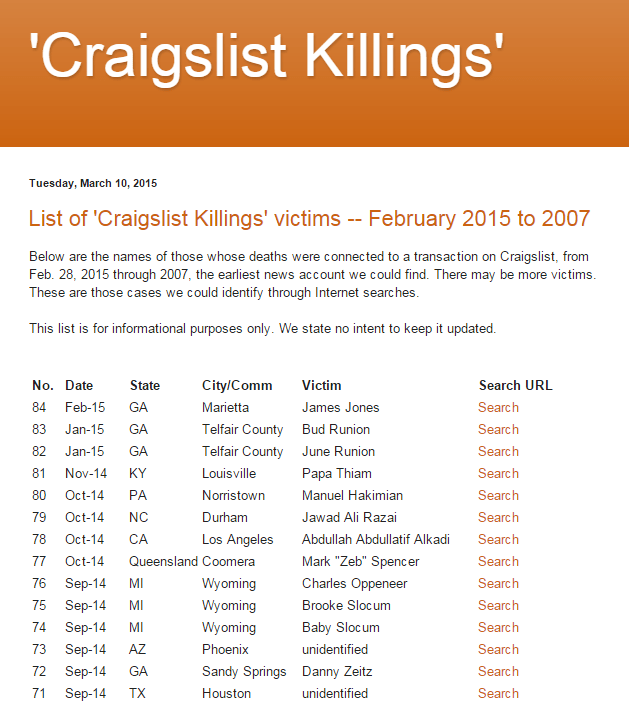 Consider the recently-published “Craigslist killings,” a list of 84 people whose lives were cut short over the last 8 years through encounters with people they met via the online classifieds site. Some were involved in encounters that were already risky enough, notably drug transactions and prostitution. But others were innocent victims, using the site to conduct transactions that have been part of the classifieds culture for generations – to buy or sell a car, inquire about a job, find a place to live or just sell personal items. The point of the list was not to bash Craigslist itself, though critics often call on the site to take more proactive steps to educate their visitors about safer ways to conduct their transactions. Instead, the list’s authors – a group that’s promoting an initiative called “SafeTrade” – is calling on law enforcement agencies to open their facilities as trading stations where people can meet to conduct their transactions. The idea is that anyone looking to take advantage of a would-be buyer or seller or is otherwise looking to do harm to another person likely won’t want to meet in the parking lot of a neighborhood police station. 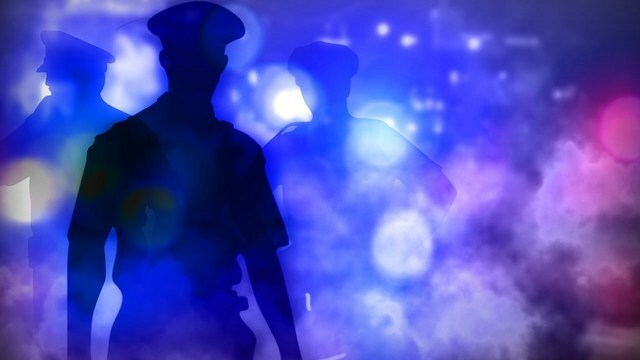 Already, the group has successfully lobbied more than 50 police agencies across the country to open their facilities and/or offer some sort of assistance to help make these transactions safer. Simply said, I applaud these efforts – not because the police agencies have become involved and not because this group is highlighting the violence that has taken place as a result of craigslist encounters. Instead, I applaud any effort to raise awareness around the steps that people should take to keep themselves safe. That’s one of the reasons I include a prominent link to a “Scams and Shams” page on Geebo. My list of tips on how people can protect themselves when engaging in transactions that originated on the Internet is helpful – but it’s also meant to raise awareness, so that people understand that they should always be aware of people who may be looking to take advantage of them or otherwise cause them harm. Obviously, there are some situations where risks will be higher. Those who are meeting about a home rental, for example, have no choice than to meet at that home. But people can minimize their risks by bringing someone with them when they meet the other party, by meeting during daytime hours when others are more likely to be around, by letting others know where they’ll be and providing the information they have about the other person they’ll be meeting. There are great bargains to be found on the Internet and it’s safe to say that most people are just looking to make an honest and simple transaction. But there’s also a criminal element out there looking to harm someone else – and being proactive can help keep your name off a list of victims. If any of this saves one life, it was worth the effort. Greg, I live in Maine and the Augusta PD just set up an exchange area in their Libby! Great column!